​​The Board of Education has now concluded its review of transportation of Prairie Valley students to Regina schools and has approved a revised plan that extends the timeframe for busing to Regina schools from the Regina, Pense and Grand Coulee Attendance Areas through the 2018-2019 school year. The Board originally addressed this issue in April 2014, following decisions by the Regina public and separate school systems to close attendance to new out of area students at certain Regina schools due to enrolment growth and space pressures, including students who reside in Prairie Valley School Division. 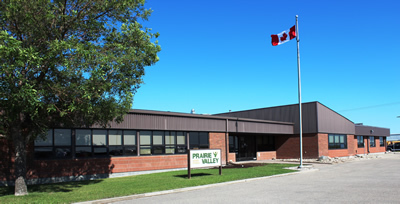 In response, the Board originally decided to transport all students who reside in Prairie Valley School Division to Prairie Valley schools effective for the 2015-2016 school year, with the exceptions of high school students who would be grandfathered to the designated Regina schools and French Immersion students who could not be accommodated in Prairie Valley’s program.